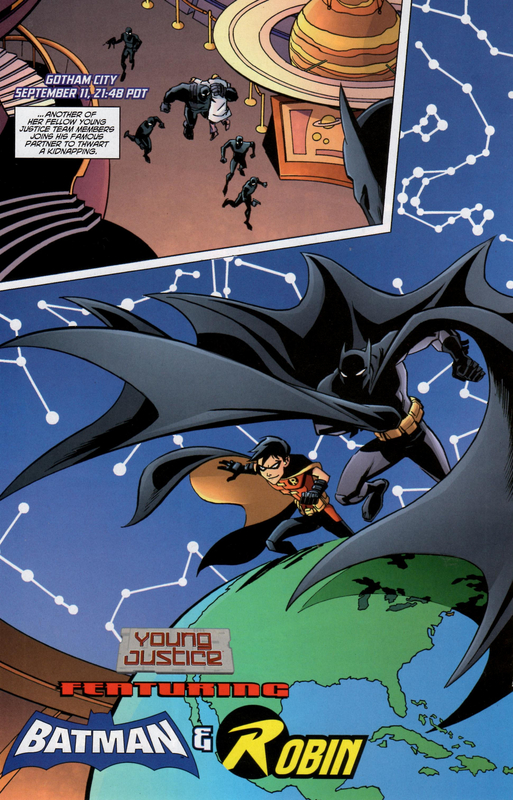 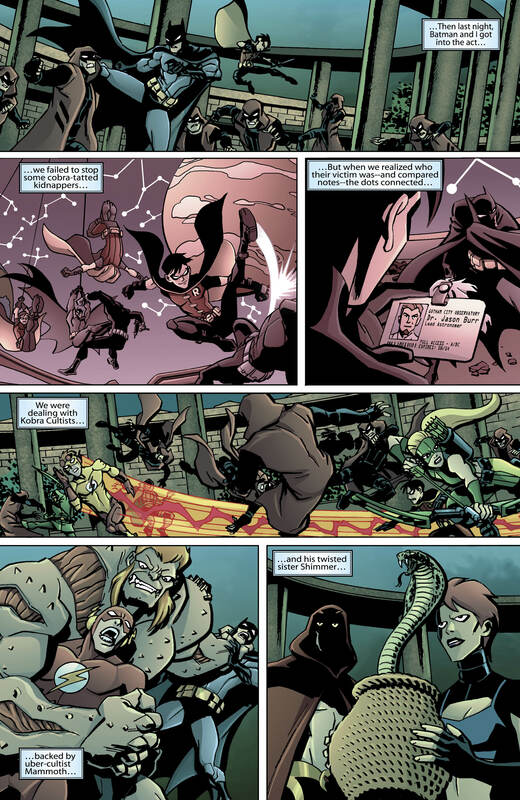 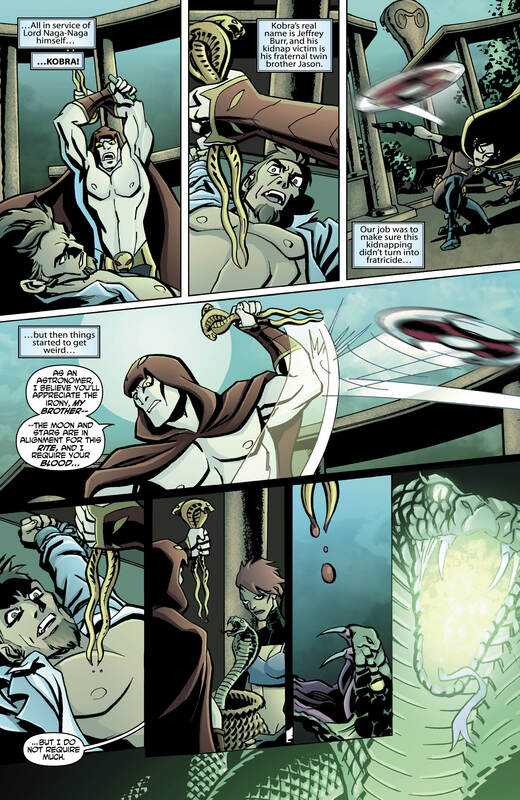 YOUNG JUSTICE #16 is written by Greg Weisman and Christopher Jones with color by Zac Atkinson. 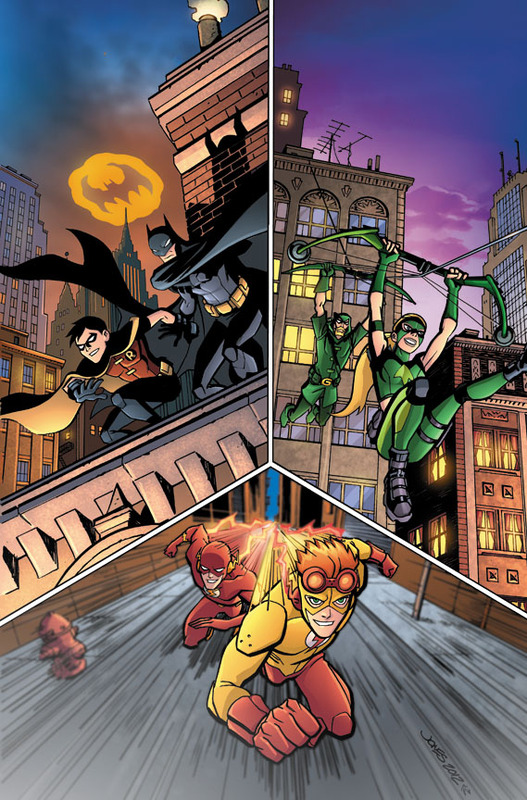 Robin, Kid Flash and Artemis fight crime with their adult counterparts (that’s Batman, The Flash and Green Arrow, respectively) in this first part of a new storyline. 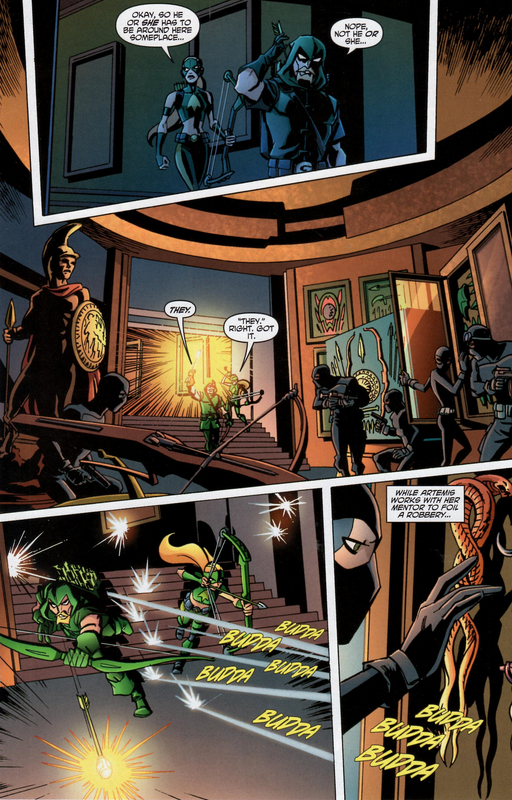 As an added bonus there’s an Easter Egg for attendees of CONvergence! 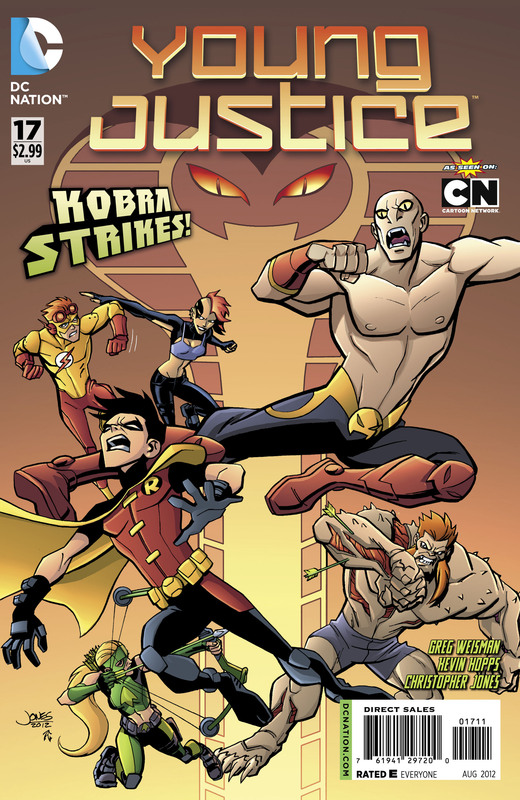 Written by Greg Weisman and Kevin Hopps, art and cover by Christopher Jones. 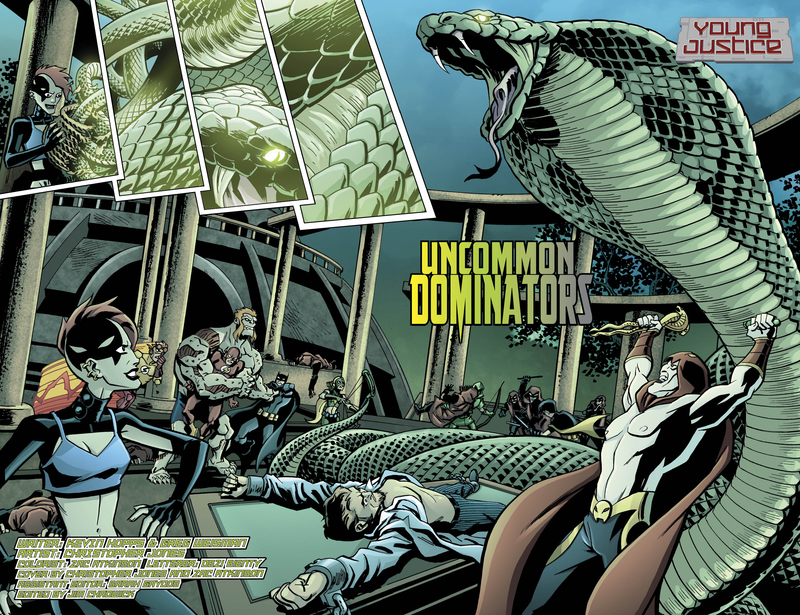 Kobra is back — and he’s scheming to become a god! 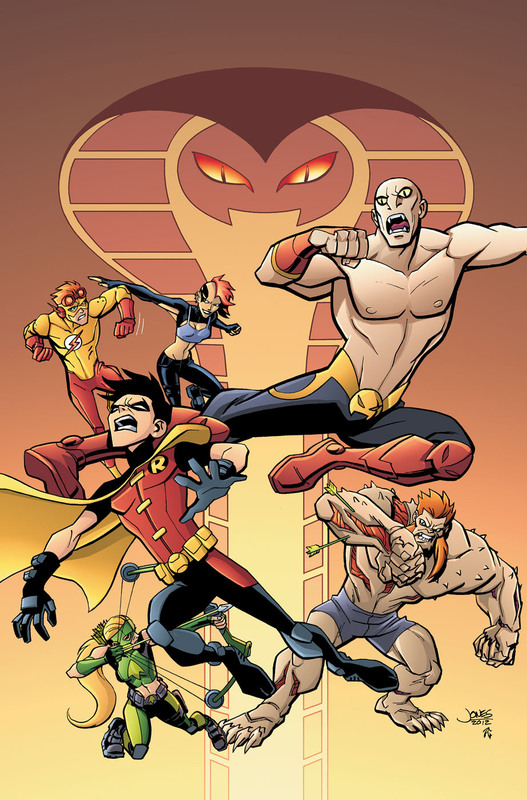 Robin, Kid Flash and Artemis tackle Mammoth and Shimmer! 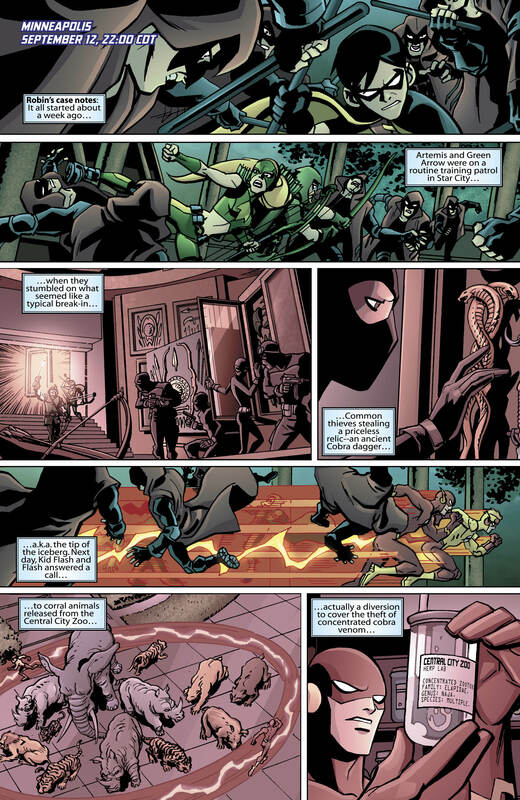 Guest-starring Batman, The Flash and Green Arrow! 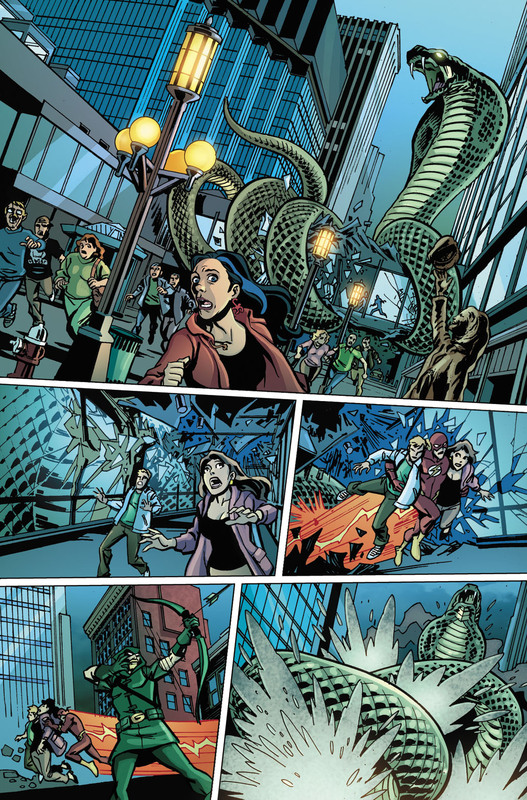 Issues #1-13 are currently available and #14 is out this week! 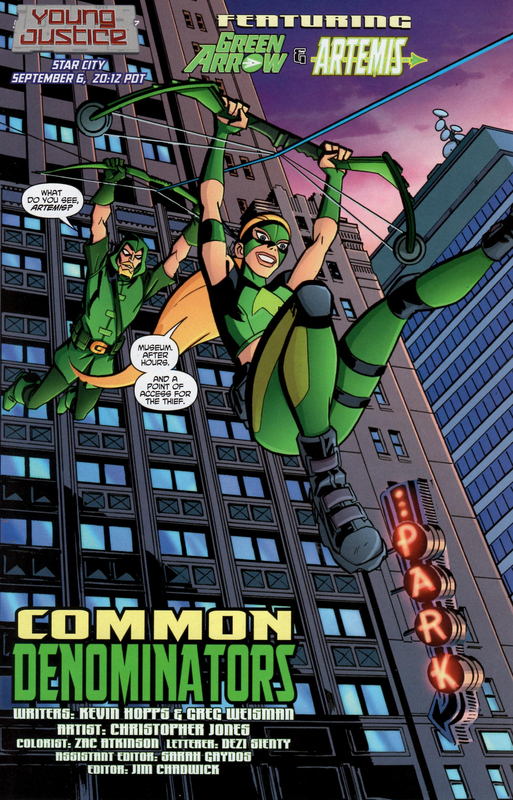 Pick an issue up in digital form or at your local comic shop!